Ken Griffey, Jr., has had what any baseball fan would consider to be a Hall of Fame career. He has been one of the most feared and consistent players on any baseball team and any baseball field since he started playing on a major league team in 1989. While his last at-bat in a major league uniform was back in 2010, the fact remains that Griffey continues to do work by working with charities through his foundation: The Ken Griffey Jr. Family Foundation. Of course, his name on any foundation would not mean much had he not had the career that he did. Griffey comes from a family of baseball royalty. His father, Ken Griffey, Sr., is one of the biggest names in baseball and remains a legend. 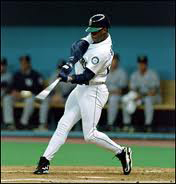 Meanwhile, Griffey, Jr., was one of only a handful of baseball players to play in four consecutive calendar decades. 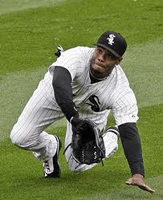 He also played on the Seattle Mariners, Cincinnati Reds and Chicago White Sox. During that time, the numbers he has racked up that it has made him legendary. He has a career batting average of .284 and 630 home runs. He also has notched 2,781 hits and 1,836 RBI. He is a 13-time all star and 10-time Golden Glove Award winner. He won the Silver Slugger Award seven times and was an MVP in 1997. He was an all star game MVP in 1992 and was 2005’s Comeback Player of the Year. However, these days he spends his time doing things for charity. For example, he founded the Ken Griffey Jr. Family Foundation. The foundation was created to allow him to spread his wealth around and to send money out to a variety of charities and causes. For example one of the major places that his foundation donates to is the Boys and Girls Clubs of America. He is also a major donor for the Cincinnati Children’s Hospital. In fact, he has become a major donor to children’s hospitals in most cities where he spent time playing. He has also donated to the Seattle Children’s Hospital and the Florida Children’s Hospital. In 2008, his foundation also created a line of wines that uses all of the proceeds to charity. He still continues to release these fine wines, clearly marked with his name and his charity, and continues to donate proceeds to children’s hospitals across the country and to spend time and money supporting children’s causes around the country. Ken Griffey, Jr., made himself a legend on a baseball field. He is a man who endured many hardships along the way, including an attempted suicide when he was 18. Eventually, however, his life straightened out and he became a man to be feared when he was at the plate, and legendary when it came to running the bases. Now, years later, after he has retired his bat and hung up his cleats, he has not forgotten the people who helped him all of those years ago. So, he gives back to the communities in which he plays and touches the lives of children across the country. He hit the ball out of the park regularly when he was in uniform, and now uses a variety of methods, including selling fine wine, to make sure the world is a better place for him having been here.